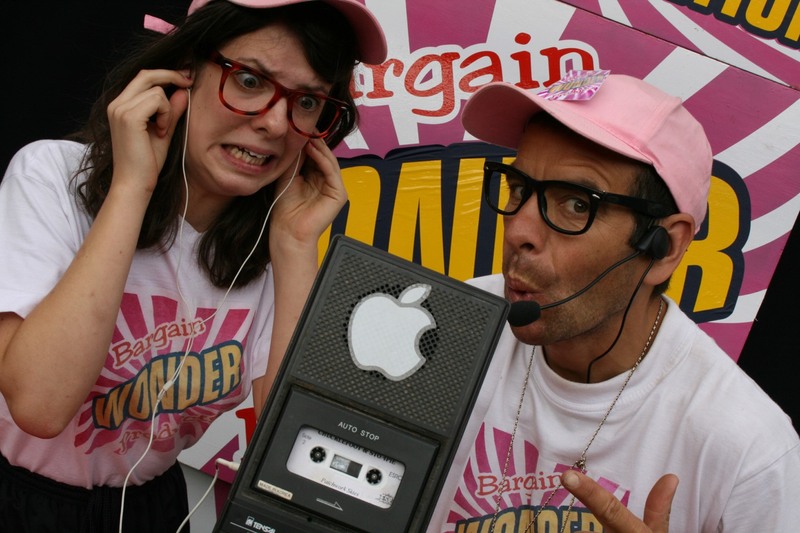 Selling an hilarious line of ‘wonder products’ Barry and Bev have no problem finding punters to watch and take part in their demonstrations which are both unconvincing and hilarious. 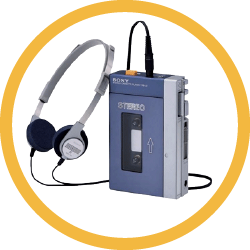 I can’t believe it’s not an ipod – personal listening system with new ‘t.a.p.e.’ technology. Killit Wallop – multi purpose cleaner / hangover cure. Bison 01 – bagless vacuum – it beats as it sweeps as it maims. Propper chopper – it chops, it dices, it slices quickly and indisciminately! ‘Unbreakable crockery’ – smashing stuff!! Imagine QVC meets ‘Tomorrow’s World’… on wheels! 2 performers move around with the booth then stop, gather a small / medium sized crowd (as appropriate for the space) then perform 5 to 15 minutes demonstrating the ridiculous, funny products before moving on and repeating. We really like this act as it is highly mobile but also provides some real comedy interaction and involvement with the public. It can also work as a 20-30 minute static show.